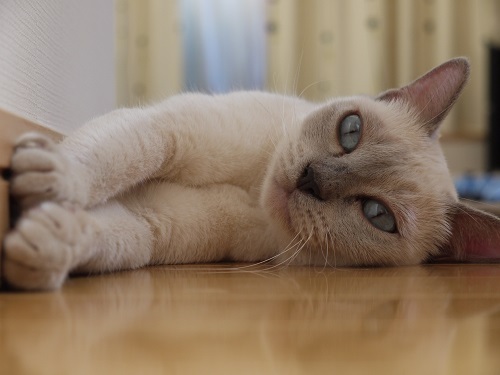 Thank you for visiting the Supersweet Tonkinese website. 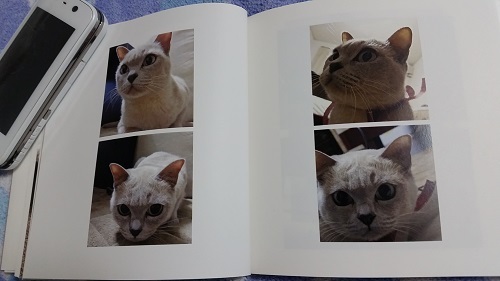 Supersweet Tonkinese is located in Saitama, Japan, which is about 40 minutes by train from Tokyo Station. 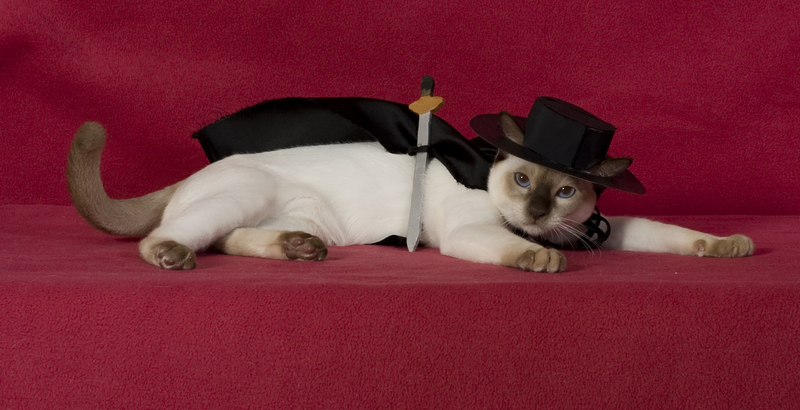 Since 2004 it’s been registered with the Cat Fancier’s Association (CFA), an American organization that’s the biggest of its kind in the world. Our showings are mainly sponsored by the CFA, and some of our cats have been used in TV commercials, magazines, calendars and other media. 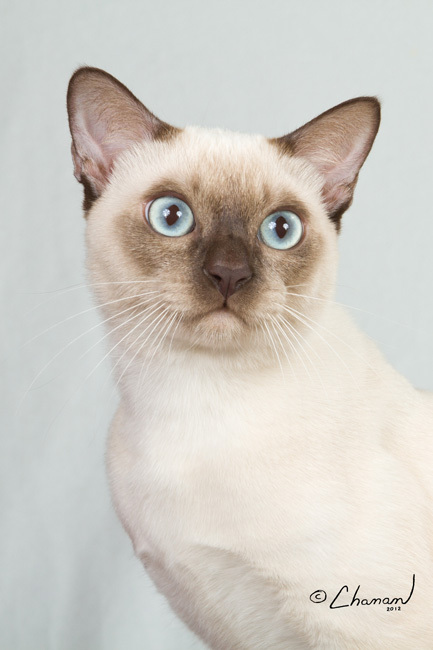 Tonkinese cats are very social and cuddly, and some owners even say they’re like humans! 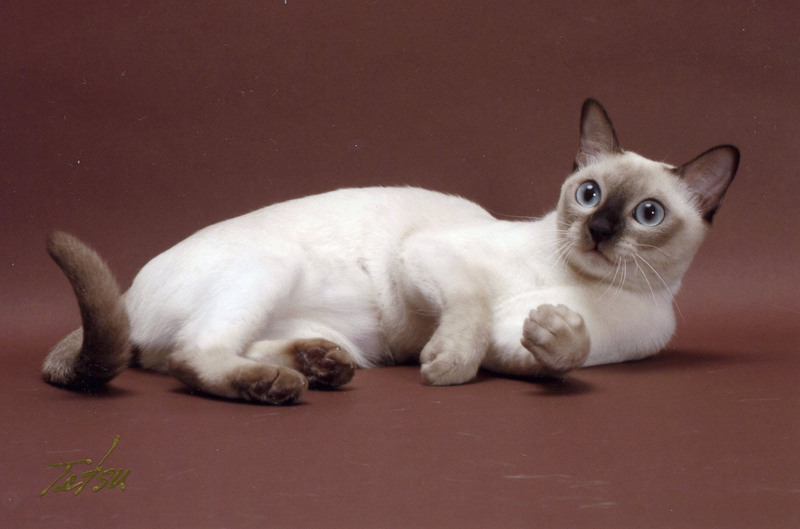 Enjoy this website and use it to find out more about Tonkinese cats. 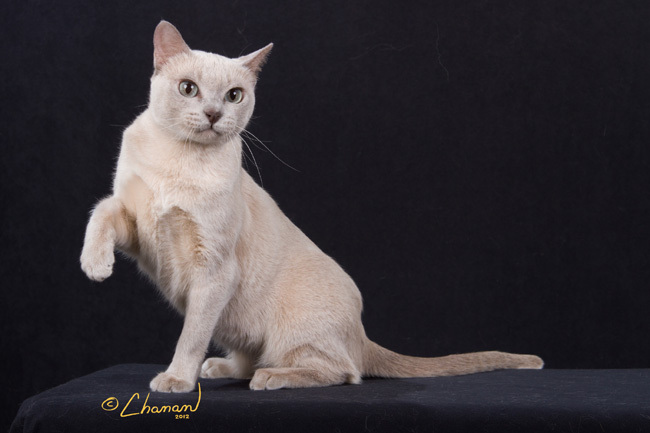 We’re very grateful to our Tonkinese cats, and to the owners, mentors, breeders, and all of the other people who have supported us and will continue to do so. On the website, the latest items are shown first. Over the past several years the number of topics has increased, so there are more than in the old days. Omime chan (platinum point) born in our company won the seventh place of the kitsun in the domestic CFA. CFA (including the whole world), including overseas, entered the 6th place in the Tonkinese kitchen division. Thank you very much for everyone who supported us. 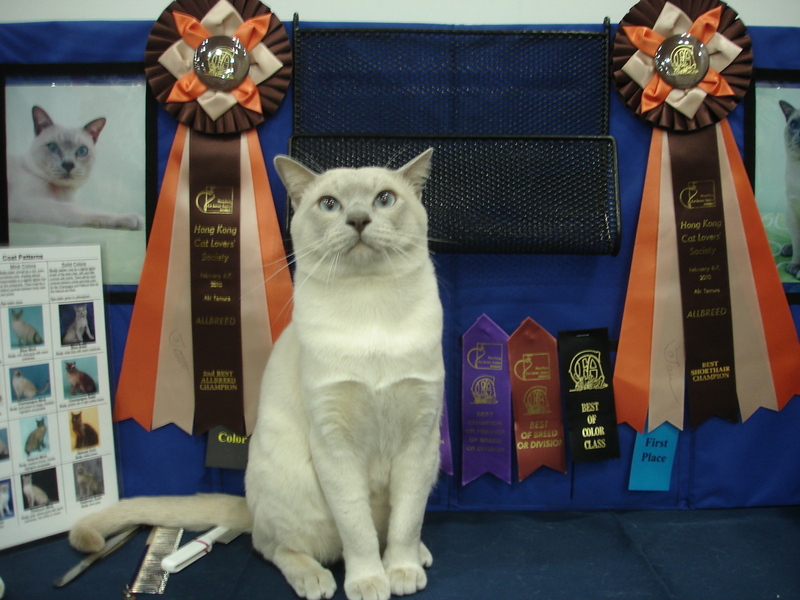 My sister Taro Mi (Champagne Point) worked hard together, and we were able to accomplish the Grand Champion in a hurry. Thanks to everyone. And they both worked hard. 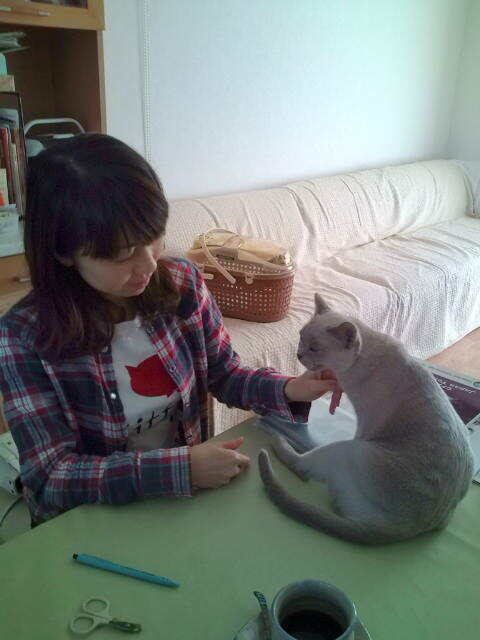 I have already spent time at home. Thanks dear. 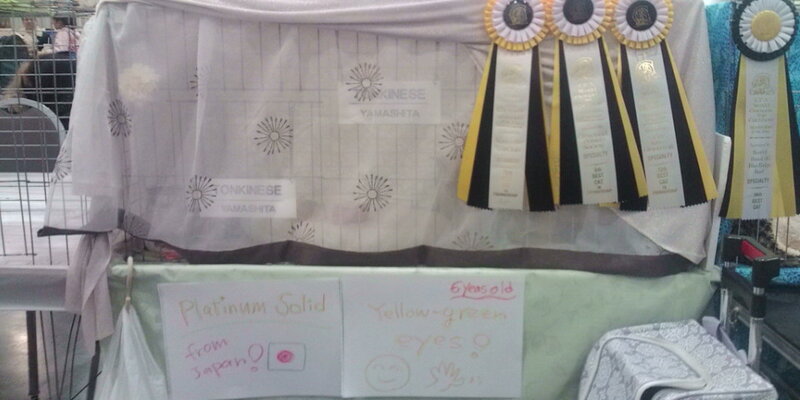 Jupiter：Jupiter achieved the title of the Grand Champion. Jupiter’ personality is very smart and gentle. Though he is a male, his pretty face and atmosphere like the girl. This is published in CFA 2015 year book, page229. Thanks for all supporting us! Mysty：Mysty achieved the title of DM! 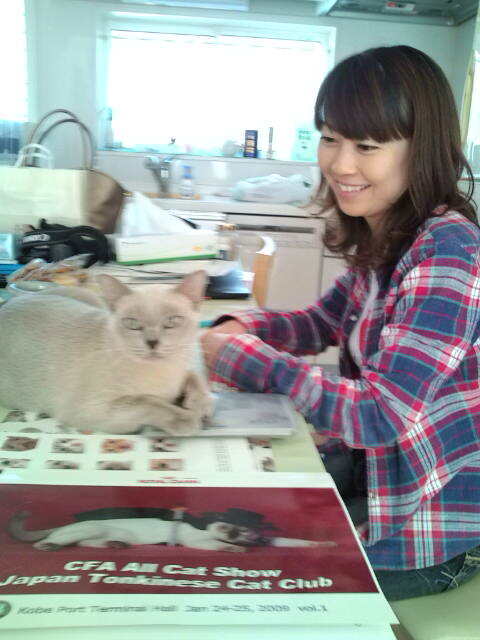 She is the first DM Tonkinese in Japan. Her personality is very gentle and good mother. Her pretty face, tenprament and atmosphere will be taken over her offspring. This is published in CFA 2015 year book, page 206. 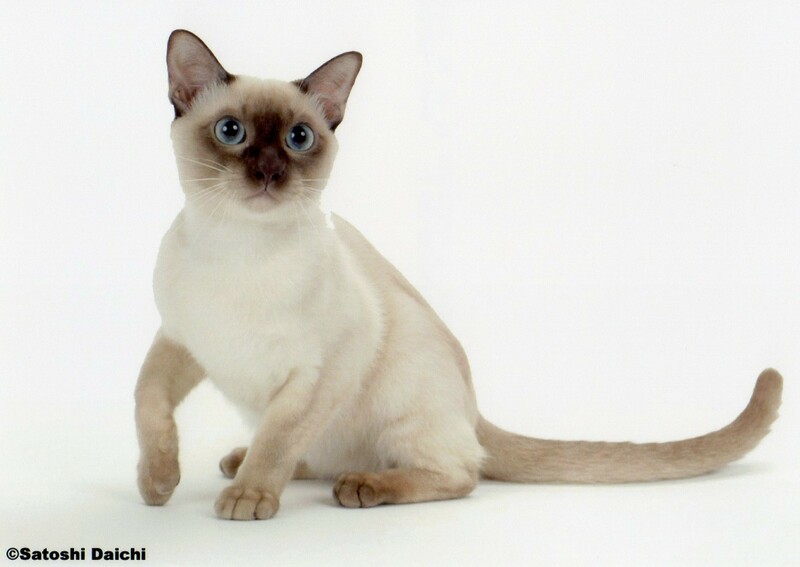 Special Thanks for TBA(Tonkinese Breed Association) which placed an article of DM Misty in the bulletin. Now shs is relaxing at owner’s house. Thanks for all supporting us ! 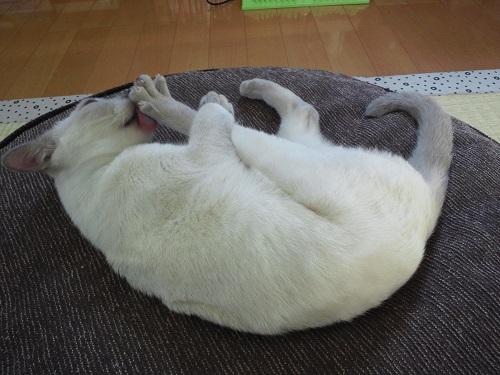 He likes eating wet food which is given only show hall very much, so he became getting heavier every times. 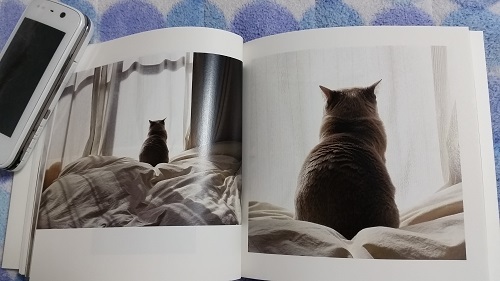 It seems a good results somehow ... thus, he was a funny cat different in the weight in the beginning and end. 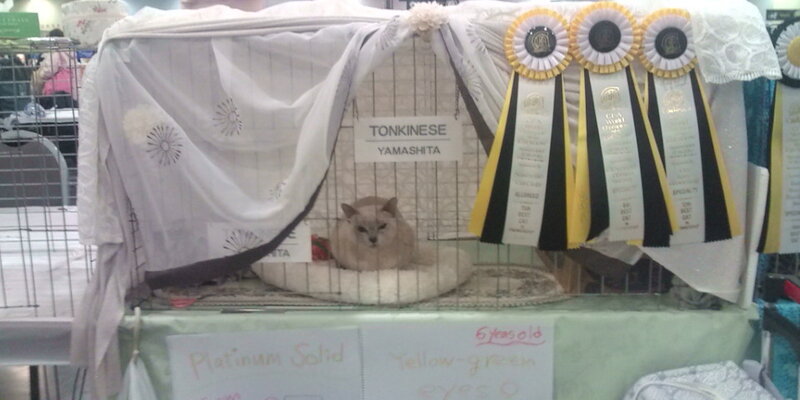 Best Tonkinese in Preimiership of the world show 2012. We have been visiting and participating in CFA World show and INTL in USA several times. 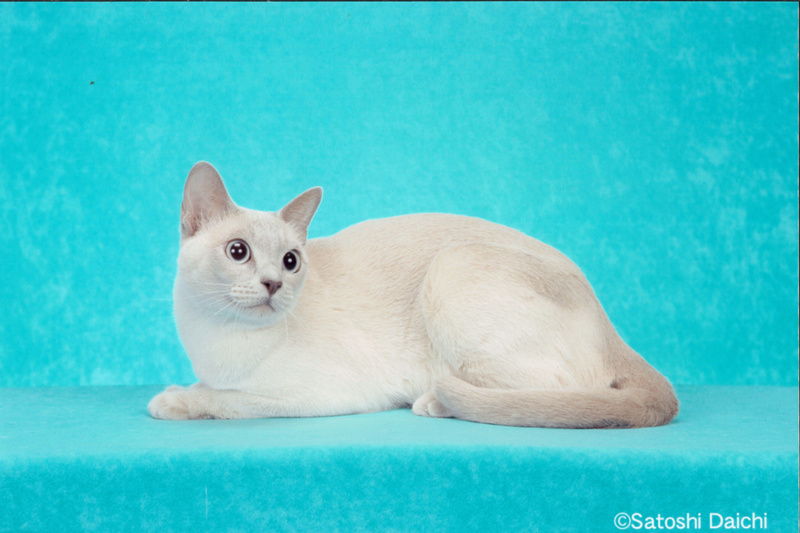 Last time was 2012 Columbus, Ohio, my Fiy-fiy (Platinum Solid Spay Tonkinese) and me excited this largest cat show of the world which consisted from approximately 1, 000 entries. 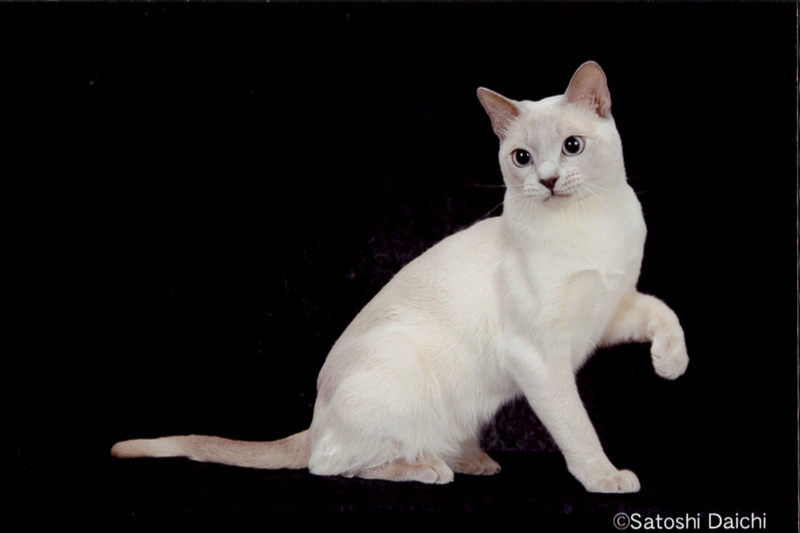 And we were very happy to see TBA members (USA Tonkinese breeders) and spent good time for showing, staying Columbus. 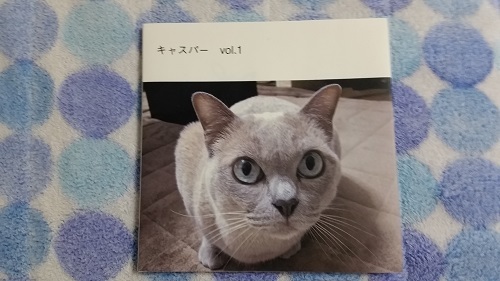 Taro who had a historical record came to my home. His personality is excellent and always keeping gentle. As his silky touch coat was so nice, so I‘ve never forget that when I touched him first. 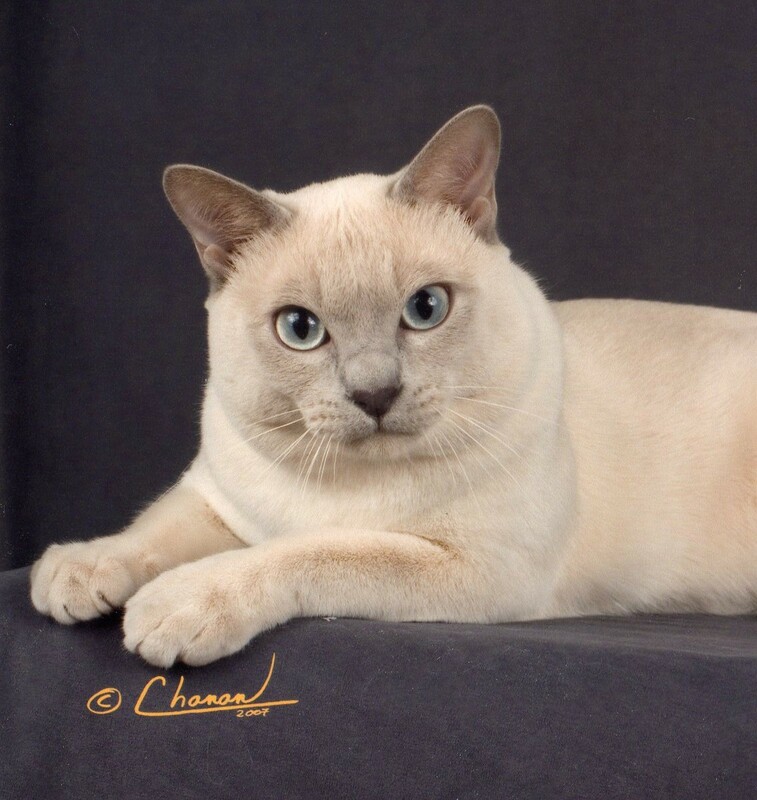 Linda of VIVATONK had words, "I came over for many years, and the further one scarcely looked by the champagne color Tonkinese". 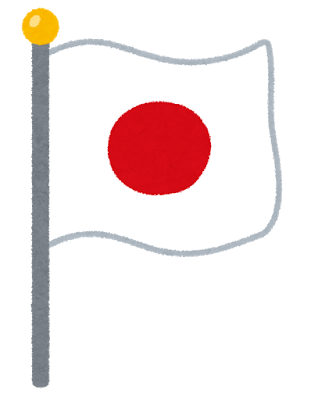 I say thank for having come to me.. for Japan. 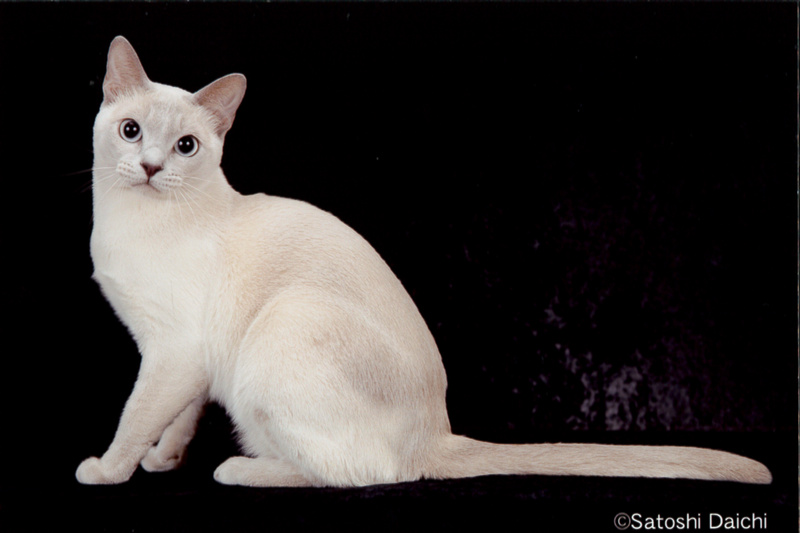 White Lily achieved Regional Winner, Grand Champion and 10th Best Tonkinese Kitten in Nationally. Her name comes from a lily of the valley and she loved photography very much. 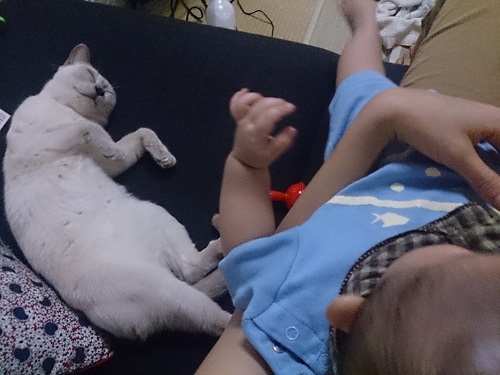 Now she is in owner’s house in Yokohama Japan, in charge of taking good care of the baby of them like an older sister. 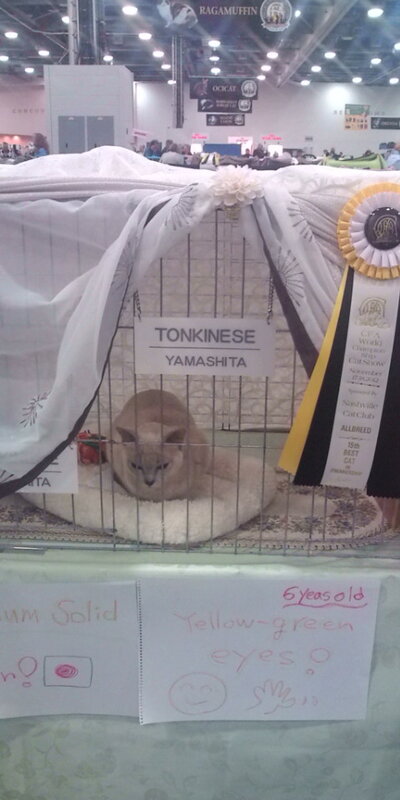 During her showing, owner came to show hall to see her and they waited to accept her until it was over. Thank you for all. 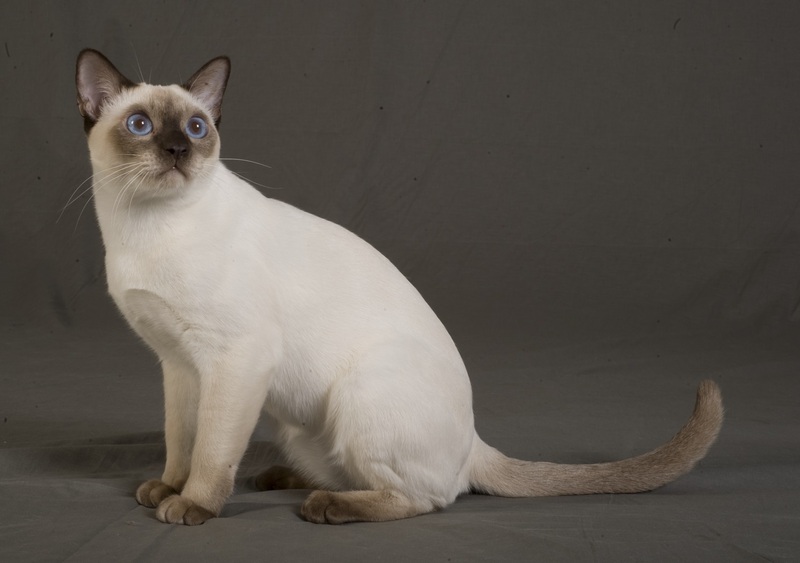 We sent Male Tonkinese (owner names it Tony: PMM) to Hong Kong in 2009. 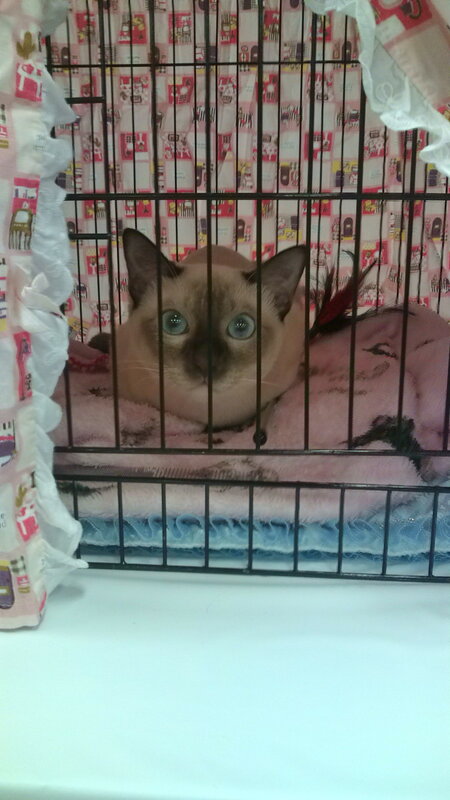 I heard that it was the first Tonkinese show entry in HK. Of course before going, Tony and I went on a show several times in Japan for tanning, to get his good performance there. 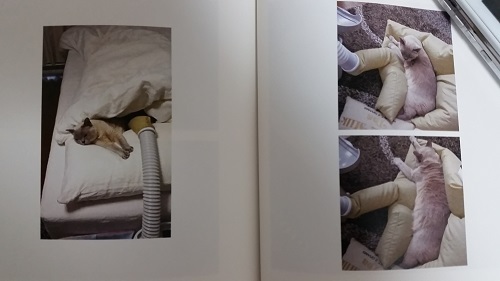 After having gone over to Hong Kong, he become popular and he was appeared in a magazine. Thank you Roland! 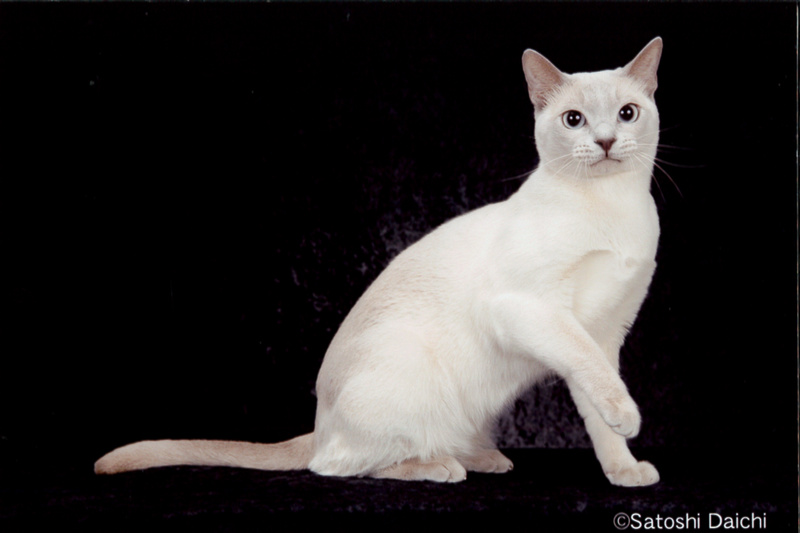 Lili achieved Grand Premier as a first spy Tonkinese in Japan. 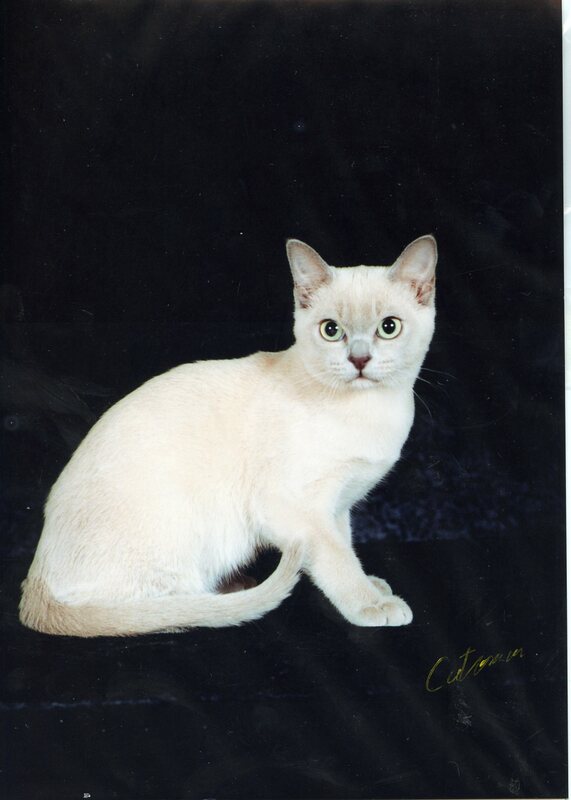 Aquamarine's daughter Lili (PMS) went to cat show for 2007-2008 years and acquired the title of the Grand Premier as the first Spy Tonkinese in Japan. 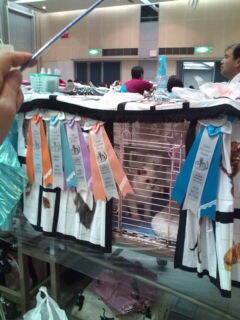 I was so impressed with her owner, who tried to the title GP bravely and achieved excellently. Now she lives in the neighborhood. We put the advertisement to CFA Yearbook 2009 page 366 as a memory. 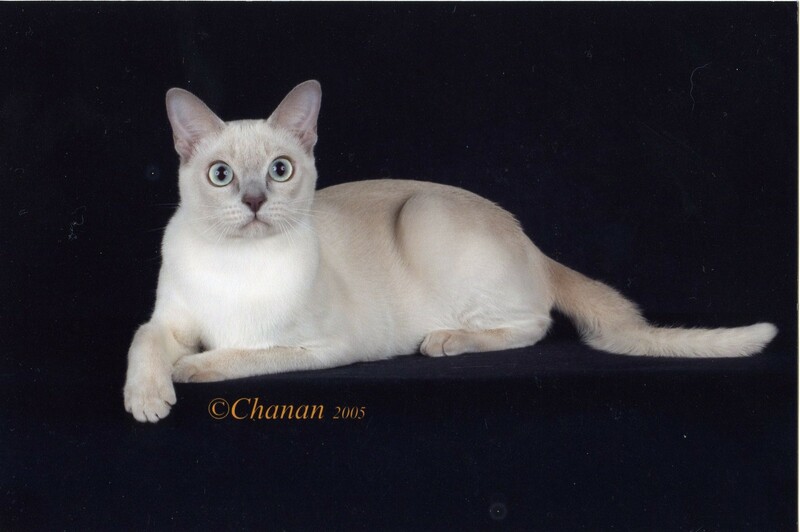 Makibaoh : The first RW GC for our male Tonkinese and The 4th Best in Nationally. In 2006-2007 show season, Makibaoh fought for the third place in breed of National award until the very end.After all, we were defeated by a narrow margin, the fourth place not third, which made us felt very regrettable feeling.However, anyway order was not settled till the last, so that showing was excited and very fun. It was had a good experience.Thanks Tarezo! 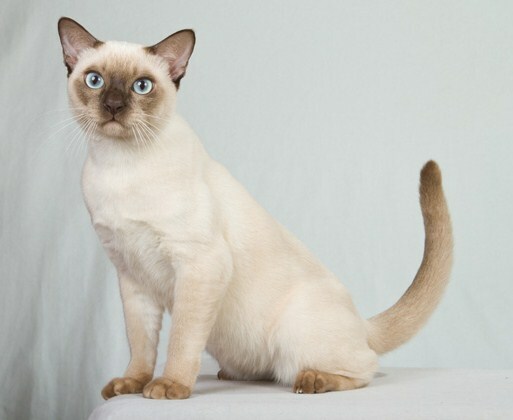 (His nickname)　Dam is DM Misty.He is our cattery's one of the mainstay with very valuable pedigree, so it may be the Galapagos Tonkinese cat for us. 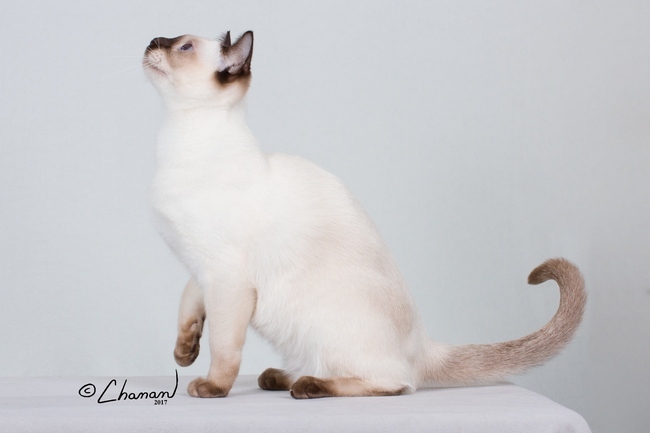 Aquamarine : The first breeding cat and RW, GC Tonkinese in our cattery. 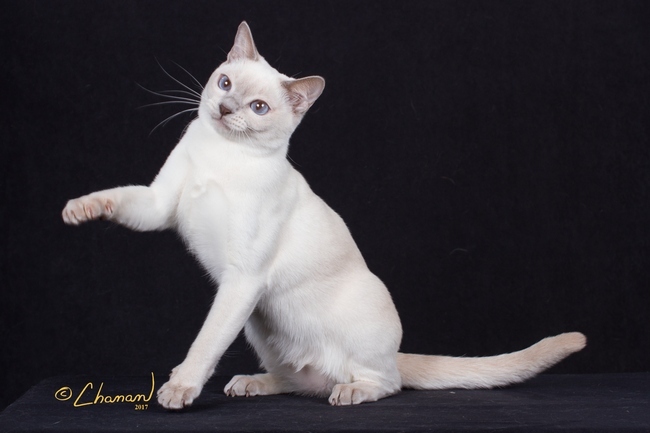 Aquamarine (Dam is Casper) who was born in our cattery for the first time, achieved GC (Grand Champion), RW (Regional Winner) in 2005-2006. My trigger of the start showing is her existence. I remember she was big, heavy and having beautiful color. She could give a refreshing impression at all times like a big white flower bloomed gently when judges hold her up to a ring. Now she go to the United States concerning work of her owner family. A couple years ago, at the time of international show I went, they came over there with her, so we met after a long absence in Columbus Ohio. 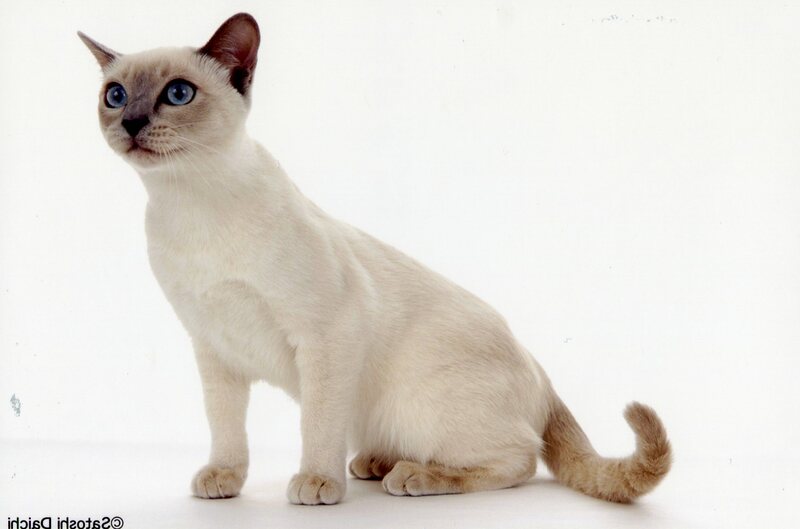 Fortunately, Marine’s original American breeder present could look at her directly as her cat’s offspring. It was a good memory. 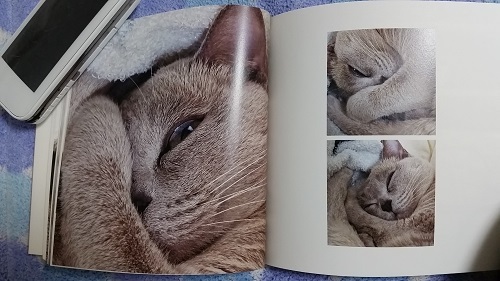 More Photo: she is placed in some publications, calendars (sealed.). A photograph and movies are in the owner’s house or our home before. 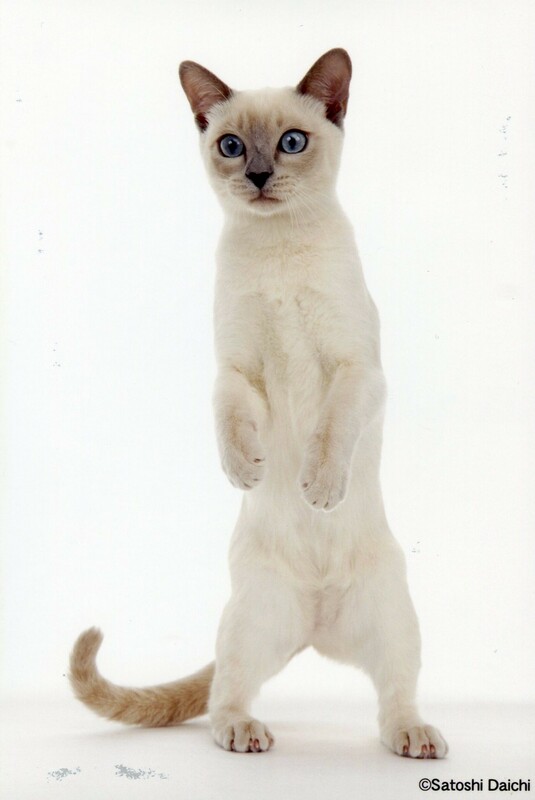 In 2004 we got our first Tonkinese cat, Casper (a platinum solid female). 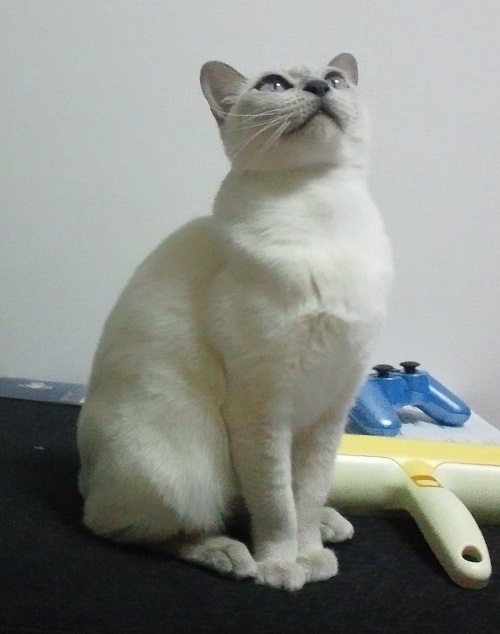 At that time we hadn’t decided yet to start breeding or to open a cattery, but while showing her and gaining experience we gradually became interested in that kind of thing. After showing her and thinking about whether to breed her or have her spayed, we finally decided we wanted to see her offspring. Her first kitten was named Aquamarine and was a PMF. 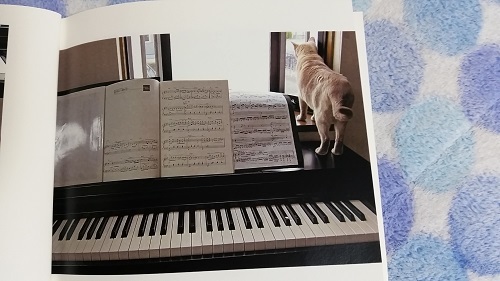 We still clearly remember how impressive her first delivery was for us, and of course that was our first time to breed a cat. 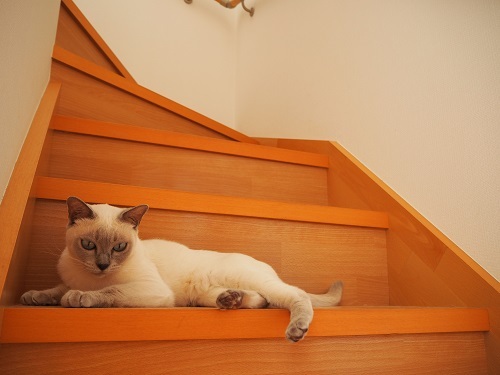 Now Casper lives with a family in Miyagi, and she experienced the 3/11 disaster in 2011. She wasn’t harmed. Encounter, departure of Casper with her new owner! She doesn’t look her age and is very cute. 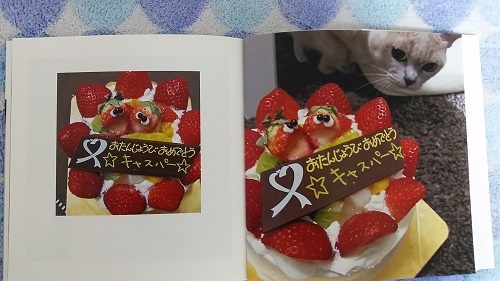 The owner gives us an original photo book and a lovely New Year's card every year. We’re thankful for that.